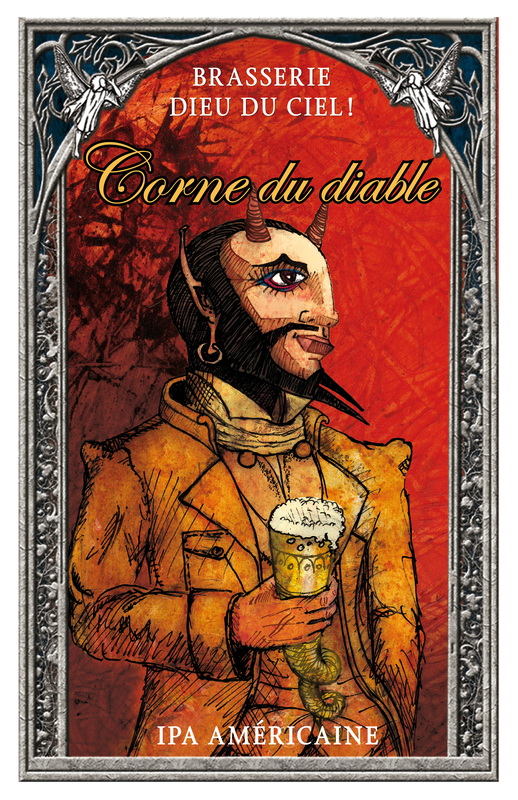 Corne du diable (French for “Horn of the Devil”) certainly lives up to its sinister name. In the style of the classic English India Pale Ale, it reassures you of its refined and refreshing character. But it draws influence from the IPAs of the west coast of North America in it’s aggressively hoppy nature and seductively sweet malt character. 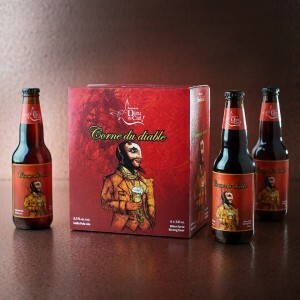 An evil beer in the best possible way, this sharply bitter red ale pierces the palate and packs a powerful hop aroma from dry-hopping, while simultaneously alluring drinkers with smooth, malty, caramel and toffee sweetness.